Summer is a Great time for a pool party! 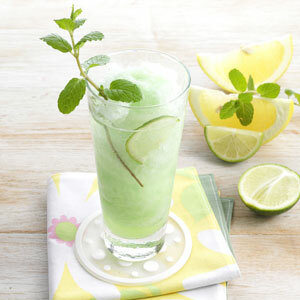 It is a great way to cool down, and everyone can relax pool side or swim around. 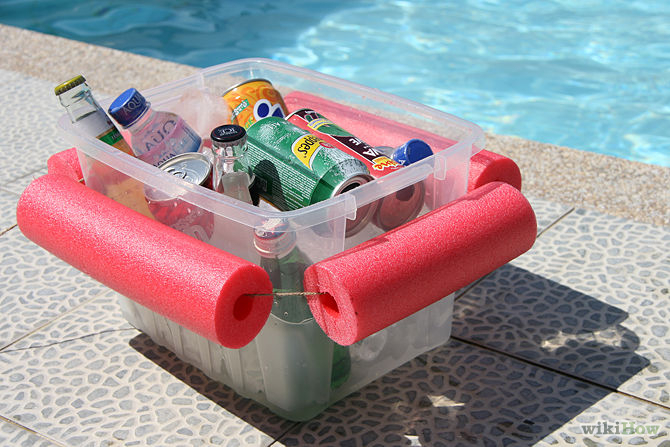 All this week we are giving you ideas of how to pull of your own Pool Party, whether it is for the kids or having Your friends over for a weekend get together. You can usually have kids entertain themselves in the pool, whether it is playing with a Beach Ball or Fun Noodles. How about coming up with some new games to challenge them in the water? 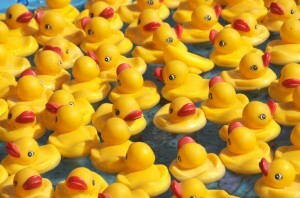 We have a cute Rubber Duckie Race that will be sure to get some laughs from the little ones, well, those of all ages! Just line up everyone at one end of the pool and have each person with a rubber duck in front of them. First person to get theirs to the other end wins, sounds pretty easy right? Well, how about adding a rule that you can only move it using your nose!? Another thing to consider is Party Favors. 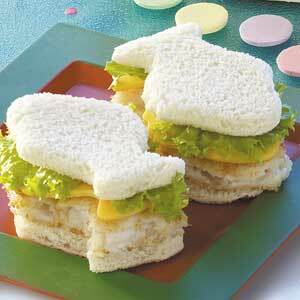 Some cute ideas would be Life Saver candies, a CD made up of Summer Time music, or even just Flip Flops! Yes, Flip Flops! DIY Projects have been becoming more and more popular over the years. 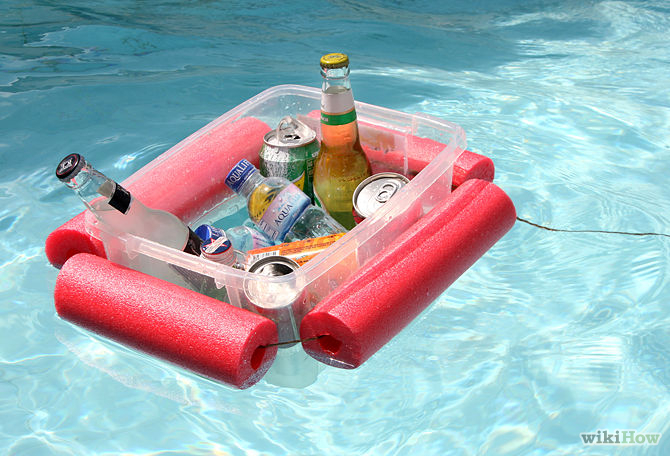 We have a fun project for you that could really benefit your next pool party and won’t cost a lot to make. 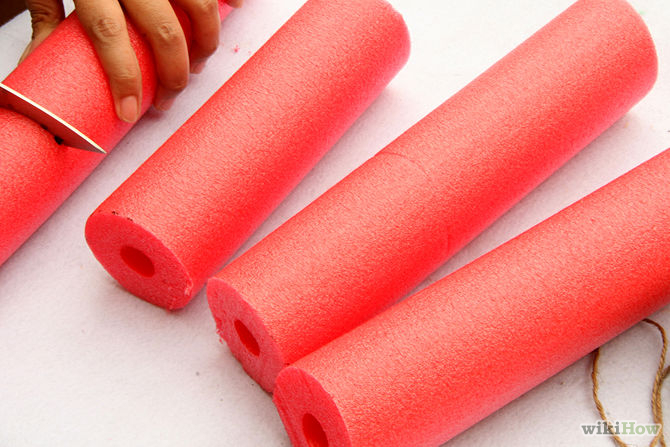 All you need is a pool fun noodle that you are willing to cut up, string, and a clear plastic tub. Make sure you pick up a noodle that has the hole running through it. Cut the noodles into 4 pieces, two long and two short. Set up the pieces around a plastic container to make sure they fit around it. Then run the string through the noodle pieces to hold them together in the rectangular shape.